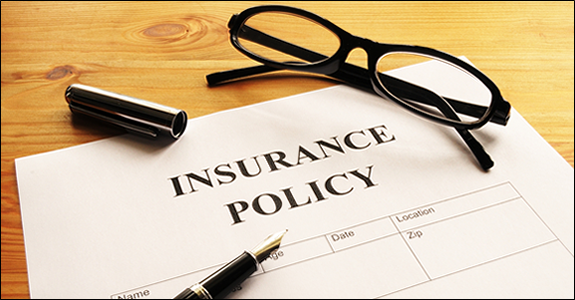 Obtaining a life insurance policy of any type is a process - a process that needs to be navigated properly and carefully. The primary goal is to have the plan issued with the highest rating and the lowest possible mortality cost. The rating equates to the health of the proposed insured and the mortality cost is the charge by the provider based on the rating or health status. The process usually consists of two parts - the application which includes personal and medical information and a medical exam. How in depth the application, questions, and medical exam go is directly related to the amount of protection being applied for. Over the course of the last two decades I have been involved in the procurement of countless life insurance policies of all types and as such I get asked a variety of questions relating to every part of the process. The better prepared the applicant is before starting the process the higher degree of probability they have of succeeding in obtaining the highest rated option and thus the lowest mortality cost. Every insurer processes the information they collect in the application and medical exam somewhat differently. However, there are many constants so I thought it would be helpful to compile a list of things to keep in mind before the process is started. For the most part there are no second chances so it is important to be as prepared as possible from the outset. Saying "No" on the application to some, many, or all of the medication conditions listed on the application which will be later contradicted by the medical records. Many companies will want to see medical records and notes from visits to physicians. It is important to be consistent when answering these questions. Once the life insurance company finds a discrepancy and/or an omission they can become very skeptical of answers to these and other questions. This can bog down the process and of course lead to a lower rated (more expensive) policy. The applicant smoking their yearly, monthly, or occasional cigar the day before or morning of the medical exam. Especially if they list on the application or state to the medical examiner that they do not smoke at all. This seems like a no-brainer but it is surprising how many times I have seen this happen and lead to a lower rating. The applicant states on the application that some type of medical test was performed but does not go into any detail about the reasons behind the need for the test, the physician who performed the test, or what were the results. For example they might say something like "I had a colonoscopy earlier this year." That is highly insufficient and they should have stated why they had one, when it was performed, the name of the physician who performed it, and most importantly what were the results. The diabetic (or hyperlipidemic) applicant enjoying a breakfast high in sugar and/or fat the morning of an insurance exam. Another one that seems like a no-brainer and again it is surprising how many times this occurs. Our underwriting department gives each applicant an extensive list of "do's and don'ts" well in advance in preparation for a medical exam. It is critical for us to prepare the applicant as thoroughly as possible to help ensure the best results. Not disclosing the names of all personal physicians and physicians seen for specific exams or tests. Omitting this type of data which can be easily obtained and verified by the insurer later will only delay the process and could possibly hurt the chances of receiving the highest possible rating. The importance of following these simple steps during the process to obtain adequate protection cannot be understated. We will finish up this list in part 2 of this article and will cover other important information as well.